When light strikes an object, it triggers atomic changes that happen too fast for scientists to observe. But UNL physicists are honing ultrafast techniques to decipher how light interacts with molecules, atoms and nanostructures. Their discoveries could lead to much faster computers, more efficient solar technology and other enhanced light-based technologies, such as lasers. 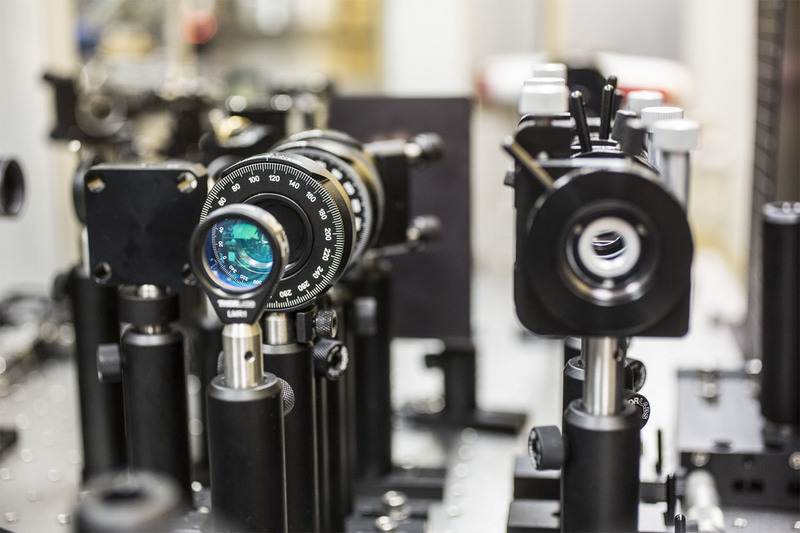 “Ultrafast science is the next step in humanity’s ability to understand nature and ultimately control these processes,” said Anthony Starace, George Holmes University Professor of Physics. UNL’s physicists have partnered with colleagues at Kansas State University and the University of Kansas in a Nebraska-Kansas Consortium that expands all three universities’ capacity to study atomic, molecular and optical physics. The consortium is taking two approaches to observe ultrafast processes. The first is based on stop action made famous by 1925 Nebraska alumnus Harold Edgerton and his iconic image of a bullet piercing an apple. Today, scientists use superfast electron and laser pulses instead of strobe lights. UNL physicists are designing and building a new source of electron pulses that uses high-powered lasers to accelerate electrons even faster. The souped-up equipment will be housed in UNL’s Extreme Light Laboratory. The device also may help elucidate transformations in solids, which could open new avenues in materials science research. The second approach uses light pulses to overcome electronics’ relatively slow speed. Merging light with the electrons used in electronics may result in much faster computers and other devices. The consortium also will provide educational and outreach activities to small Nebraska and Kansas colleges and students underrepresented in science and engineering. Thirteen UNL physicists and engineers participate in the consortium. 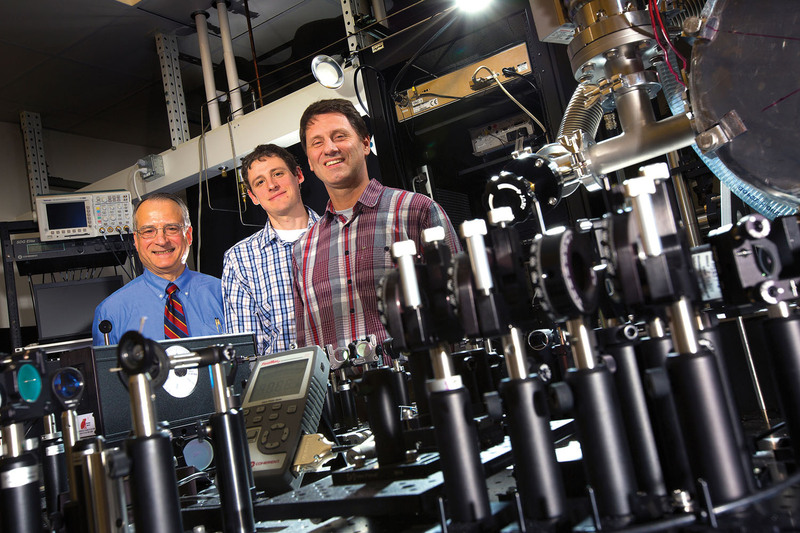 Starace and physicists Herman Batelaan and Martin Centurion lead UNL’s participation. The National Science Foundation’s Experimental Program to Stimulate Competitive Research, or EPSCoR, funds the consortium with a three-year, nearly $6 million award, of which UNL received nearly $3 million. It is one of three science and engineering consortia funded by the program nationwide.